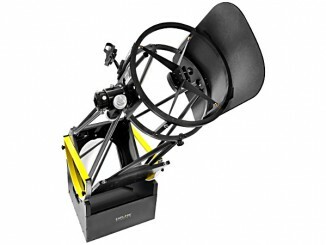 For generations 60mm refractors have been a stalwart that gently ushers many into the universe of stellar wonders. This beautiful little number aims to do more than that. Its 520mm focal length yields a very useful f-ratio of f/8.4. This means it has access (via a supplied 20mm eyepiece) to fairly wide fields at 26× for nebulous and galactic prey, yet has enough length in its optics to provide higher magnification of 130× with its 4mm eyepiece for objects closer to home within the Solar System. 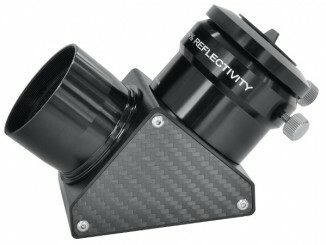 Yet this is no ordinary achromatic refractor. 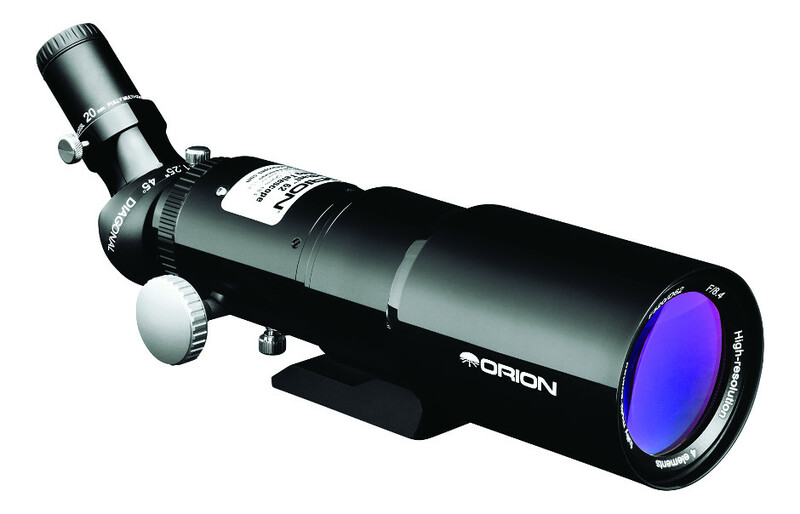 A four-element lens design delivers exceptional contrast and resolution, within a smart-looking tube only 30 centimetres (12-inches) in length (with dew cap retracted). 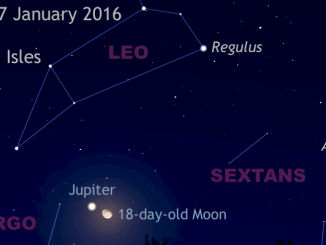 Its traveller credentials continue with the inclusion of a 45-degree correct-image diagonal for sightseeing, and it can leap aboard a telescope mount or tripod via its dovetail fitting or a quarter-inch tripod bush. When it is not deployed in leaching starlight, it sleeps safely within its own foam-lined carry-case. Its Crayford focuser accepts 1.25-inch eyepieces for visual mode and the included t-adapter provides access to imaging.